Please note, the Gift of Beauty Bag has now sold out. Please follow us on our social channels and sign up for our email to be notified of future offers. This Christmas, discover something beautiful with Beauty Bay’s exclusive Gift Of Beauty Bag. Packed with a whole host of beauty editor favourites including This Works, Gerard Cosmetics, Oskia and Sigma, it’s completely free when you spend £120. 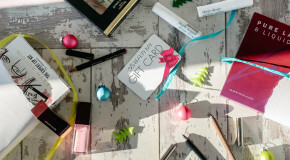 Think of it as our gift to you this Christmas – and an incredible way to trial the brands you’ll have seen all over the beautysphere. 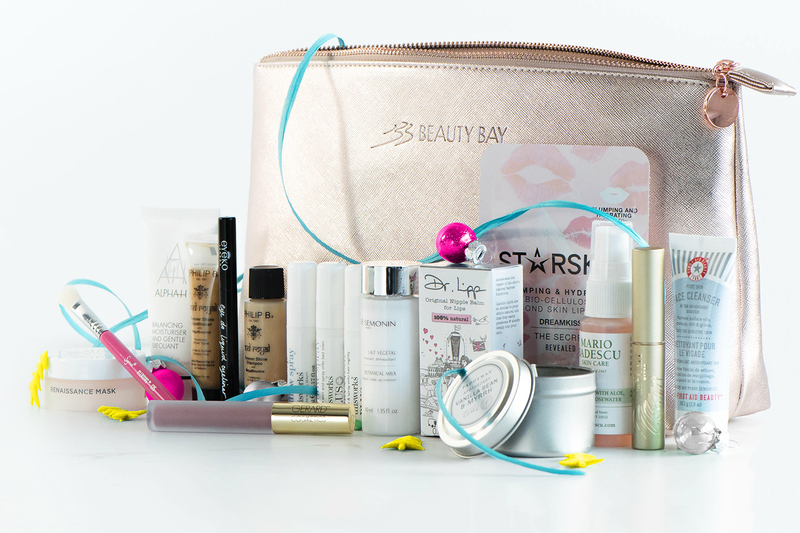 *The free Gift of Beauty bag is automatically added to your Beauty Bay bag when you spend over £120 in a single transaction. Available whilst stocks last. If you’re looking for softer, smoother and brighter skin, you’re in luck. These 5 wonder products are the perfect party preppers, working overtime to add a renewed glow to your complexion. Use them regularly in the weeks preceding your festive do, and be rewarded with the perfect base for your makeup and a lit-from-within radiance. First up is the beauty editor approved and award-winning Oskia Renaissance Mask. Packed with a renewing blend of natural extracts it has a brightening effect on skin, giving you a good skin day every day. Follow it up with the Alpha-H Balancing Moisturiser: this glow getting hydrator is formulated with 10% Glycolic Acid, Hyaluronic Acid and Green Tea to gently melt away dead skin cells whilst deeply replenishing skin’s moisture levels too. It leaves skin super smooth and makes a great makeup base. We’ve not forgotten body care either: slather on Anne Semonin’s Botanical Milk for supple, healthy skin and party prepped pins – the naturally enriched formula nourishes and soothes. Finally keep moisture levels up throughout the day by spritzing Mario Badescu’s Rosewater facial spray over skin and daubing Dr Lipp onto lips. Party season means one thing (well, at least to us Beauty Bay girls) – time to get glam. We’ve packed our ultimate beauty heroes in your Gift of Beauty Bag to gloss, polish, plump and preen for the ultimate party ready look. Think high impact formulas with minimal effort required – our kind of beauty. Step one in our party styling routine: the hair. Philip B is the expert in creating healthy, glossy and all round fabulous hair and the Oud Royal Forever Shine Duo is the pinnacle of luxury care. Enriched with nourishing botanical extracts, the duo deeply hydrates, smoothes away frizz and adds exceptional shine. For a perfectly plumped pout without any needles, a lip mask is just the answer. Starskin’s DreamKiss mask is a sheet mask especially for the lip area which is loaded with ingredients like Hyaluronic Acid and Flaxseed to deeply hydrate and plump skin – perfect for pre-lipstick application! We know you’re not quite ready to give up on the matte lip trend just yet, so we’ve stashed a Hydra Matte Lipstick from Gerard Cosmetics in your bag. The much-lauded formula applies with a silky smooth and opaque texture, coating lips in full coverage pigment in just one swipe. It dries down to a flawlessly matte finish – the perfect final touch to just about any makeup look. Finally, we’re giving you a huge boost in the eye defining department: huge lashes courtesy of Stila’s HUGE Mascara, the perfect cat eye with Eyeko’s bestselling Eye Do Eyeliner pen and a flawlessly blended smoke with Sigma’s incredible Blending Brush which can be used to blur sharp edges or buff eyeshadow at the crease for sultry definition. Whether you’re battling post party fatigue or just suffering an overall post-festive season lull, chances are you need a touch of R’n’R. 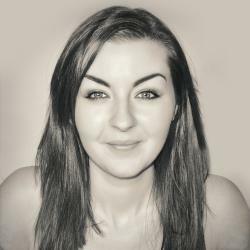 Harsh winter weather, excessive food and drink consumption and over tiredness can quickly lead to dull, lacklustre skin and a serious lack of motivation – not ideal come NYE. 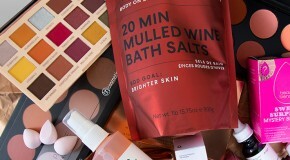 Fortunately, we stashed these little rejuvenaters into your Gift of Beauty Bag. Chosen to fight fatigue and soothe both your mind and skin, they’ll ensure you’re raring to go at all times. If your mind is working overtime and stopping you catching some much needed Z’s, liberally spritz This Works’ Sleep Trio around your sleeping area and smooth the elixir through lengths of hair. The hit of lavender will naturally calm the senses, quickly transporting you to a restorative and deep sleep. For some skin rejuve, First Aid Beauty’s Face Cleanser is an essential – deeply cleansing, yet exceptionally gentle, it’s perfect for stressed skin. And if that Christmas wrapping is just getting too much, pour yourself a mulled beverage and light Paddywax’s warming candle to fill the room with a soothing, relaxing scent. 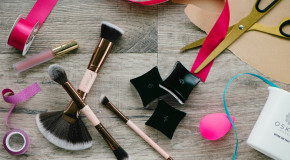 *If for any reason you wish to return part of your Beauty Bay haul, and the value of returned goods takes the total value of the order to below £120, the Gift of Beauty must also be returned in full.